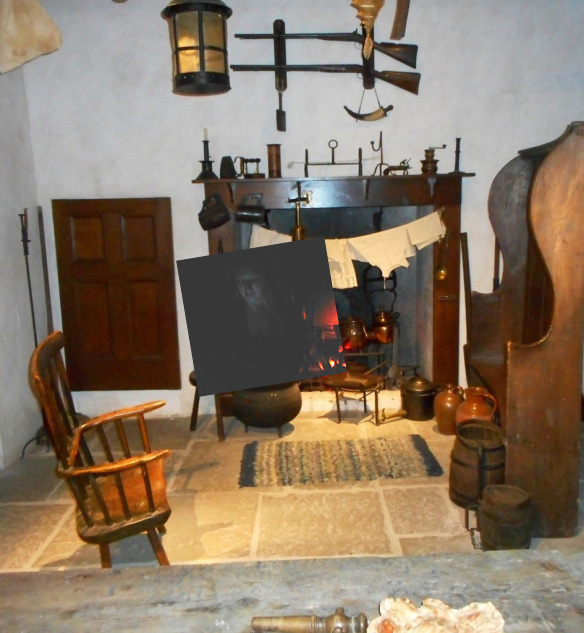 This is composite of two images: a photo of a supposed ghost taken in the Torquay Museum in Devon, England, and a daytime photo of the room the ghost was said to have been photographed in... thus showing the relative position of the figure in the room, as based on the position of the fireplace in the ghost photo. The picture of the room is from the devon2mother website and was posted in November 2015 [Link Here]. The picture of the ghost is from the Torquay Museum website [Link Here].